DIRTY nappies, sanitary pads and off food, not exactly how you expect to find your rental property once the tenants vacate. But that's what Lockyer Valley couple Tannyth and Trevor Shackell found in their Gatton rental last week after their tenants lease was not renewed for failing to pay rent and water usage. The house had been rented to a young job-seeking couple since October 2015 but according to Mrs Shackell, the eviction didn't go down too well. "They told me they were doing cleaning and fixing everything but they did absolutely nothing, they just trashed it," she said. Upon re-entering their home, Mrs Shackell said the house was full of rubbish, old food, cigarette butts and ear buds were everywhere and the house smelled like rat urine. "I was so angry and devastated because now we've got to clean up their mess," she said. "Now it's going to be repairing all the doors they've ripped off, replacing the blinds they've broken, cleaning up all the rubbish and doing full bond clean and restoring the back yard." The tenants recently appeared at the Ipswich Queensland Civil and Administrative Tribunal over owing seven weeks of rent and three quarterly bills of overdue water rates. 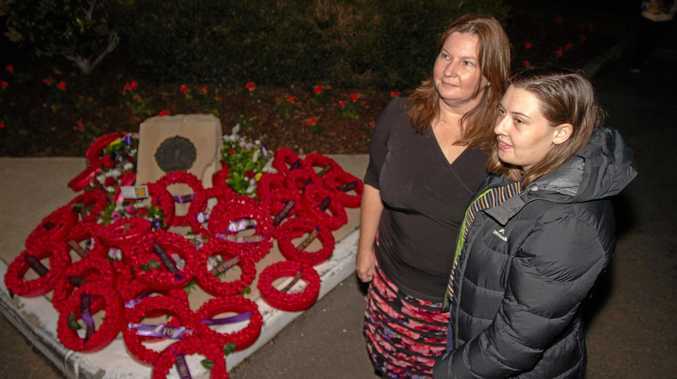 They owe $2748 in overdue rates and water bills and the bills for cleaning, disposals and maintenance are yet to be finalised. During their clean-up on the weekend, Mrs Shackell said they removed half a ton of rubbish from the property. "We are appalled that we have given a young couple a go who are on welfare and then get treated like this and have the house trashed," she said. "We work hard and pay taxes just so they can destroy our property." 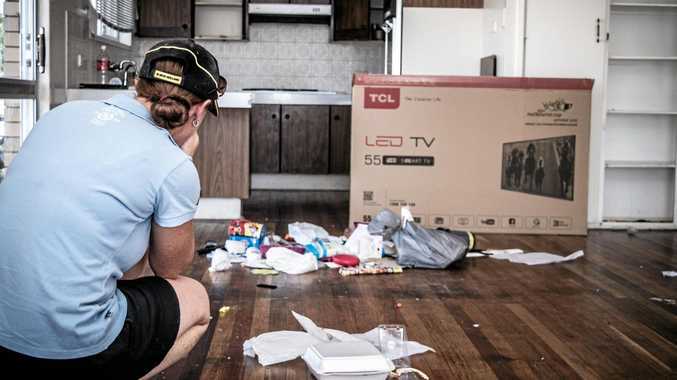 The Residential Tenancies Authority CEO Darren Barlow said tenants were required to keep rental properties clean, undamaged and return them in the same condition at the end of the tenancy - apart from general wear and tear. "During their tenancy, tenants are required to keep to the terms of their tenancy agreement which includes paying rent, and other charges listed in the tenancy agreement like water consumption costs, on time," Mr Barlow said. Mr Barlow said tenants could not be fined for leaving leaving a premises in an unclean condition however if the bond was insufficient, property owners could apply to the QCAT for compensation for out-of-pocket expenses.